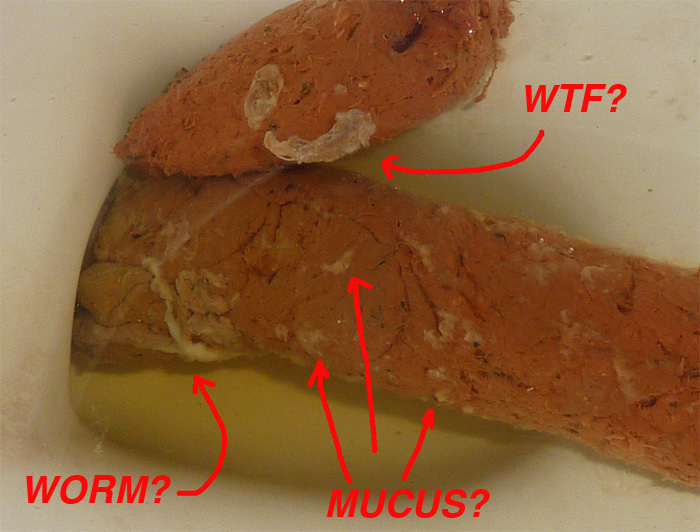 Strange Poop - parasites? Mucus? Parasites... Worms? Mucus? Flukes? Not sure really.